If there's one star who can change the face of celebrity makeup, it’s Drew Barrymore. The woman is sweet and, oh, so genuine. 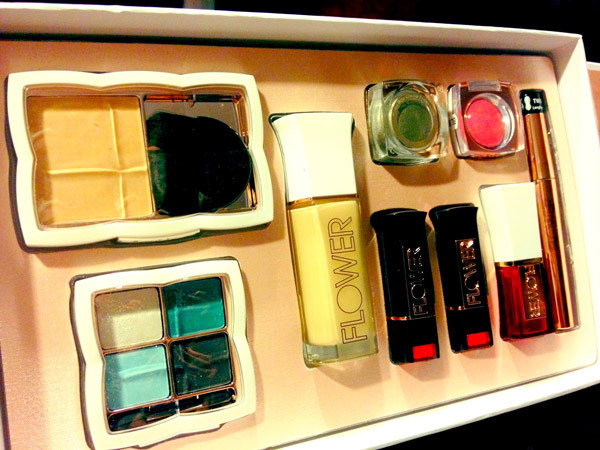 Her new makeup collection for Wal-Mart, Flower, truly has a reason for being. 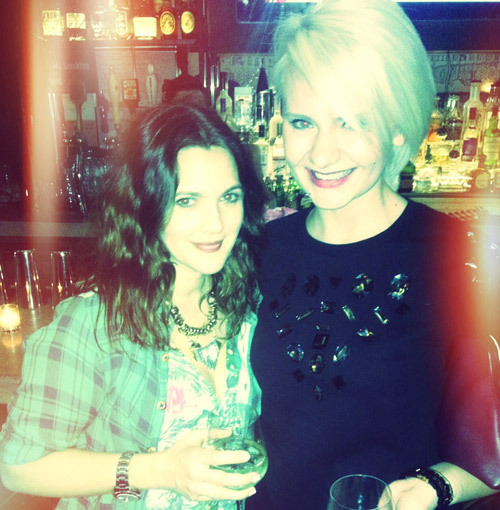 This week, I celebrated the launch of Flower with Drew and a few other beauty editors. We were introduced to the 181-piece collection (that's no small feat, Drew!) while sipping Drew’s brand of Pinot Grigio. Yes, you read that right. 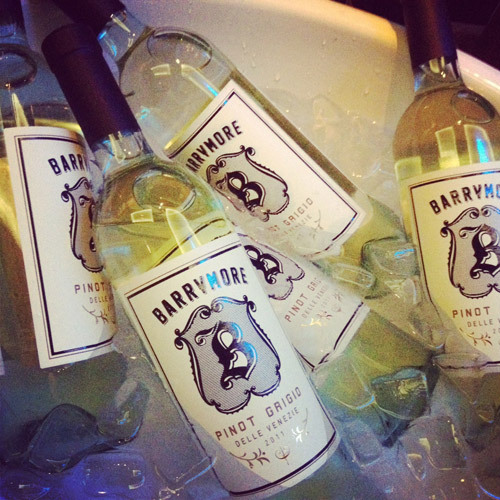 She has her own vino called Barrymore Wines. It’s delicious! I was lucky enough to have a quick chat with Drew about Flower, Barrymore Wines, and how it all came to fruition. The conversation started with the seriously gorgeous color she was wearing on her lips. 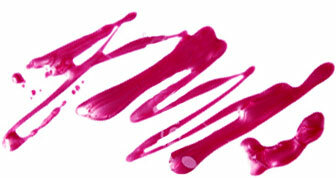 “Chocolate Lily,” she answered as she applied the lipstick precisely without even glancing in a mirror. “When we developed this color, I had no idea that I would want to channel the ‘90s and it worked perfectly for that,” she said. “Did you ever wear lip liner as lipsticks?” she asked. (Yes, of course I did!) “So did I,” she answered enthusiastically. Then she continued to tell me how her two endeavors came about. Flower will be sold exclusively at Walmart.com and Walmart stores nationwide this month. The collection includes foundations, BB creams and cream blush, to eye shadow quads, mascara and lip gloss. There is not a single type of product we can think of that Flower doesn’t have. It also includes miniature versions of eye, lip, and face products – something that Drew has always been looking for. “I’ve always wanted to do minis and I’ve tried to work with a lot of companies and artists to see if we can invent one,” she said. “A woman loves a miniature creation in her bag. Bags are getting smaller and makeup is getting bigger. This is not working!” The products are not just random, dinky things either. Everything from the packaging to the formulas feels extremely high end. Making luxury products for the masses was Drew’s main focus, and she didn’t disappoint. For someone who was never the type to put her name on something, Drew Barrymore has seriously succeeded. Her collection is truly luxurious, with exquisite formulas. The price doesn’t hurt either. Kudos, Drew!